South Adelaide tightened their grip on a top-two finish after a strong outing against North Adelaide, coming away from Prospect Oval with a 49-point win. The Panthers rode a 7.1 to 1.0 third term to overcome a first half deficit and record their 13th win of the season - the most wins in a South Adelaide season since the Panthers went 16-6 in 1991. Despite their ninth-placed ranking on the SANFL Ladder, North have proven to be a tough team to beat in 2016. The Roosters have been much improved under first-year head coach Josh Carr and they showed against South that their best is good enough to push the top sides. North kicked the opening two goals of the game and rode some accurate kicking into a quarter time lead. However, they were unable to carry their accuracy into the second term. Despite having four less scoring shots, the Panthers were able to close the gap as Brett Eddy took his goalkicking total to 4.0 for the first half. The 2016 Ken Farmer Medal leader was again in fine form in front of goals, slotting 7.1 from his eight kicks and extending his season tally to 62 (20 clear of second-placed Luke Reynolds). When 50-gamer Cam Hitchcock goalled to start the third term it kickstarted a Panthers onslaught that finished with the away side winning the term by 37 points. South continued their dominance on the scoreboard through the final term, outscoring North 5.1 to 2.3, with the win never looking in doubt after the final break. The win keeps the Panthers a game ahead of third-placed Sturt and on equal points with league leaders Woodville-West Torrens, although both opponents have a game in hand with two rounds to go. South Adelaide's experienced midfield group proved too much to handle for Carr's Roosters, winning the disposal count by 72 and winning 45 clearances to 26 despite losing the hit-out battle 26-49. The ever present duo of Joel Cross (22 touches, seven clearances and two goals) and Nick Liddle (23 and two goal assists) were magnificent in the middle. Matt Rankine was also a standout, with 25 disposals, five tackles, three goal assists and an eye catching three-bounce run and goal that capped off his performance brialliantly in the fourth quarter. On the end of many of those goal assist was the aforementioned Eddy. Meanwhile, at the other end of the ground, the leadership and defensive prowess of Brad Crabb earned him the nod from the coaches as best on ground, while fellow defender and leader Matt Rose also played an important role with a game-high 33 touches and 12 marks to go with seven rebound 50s. 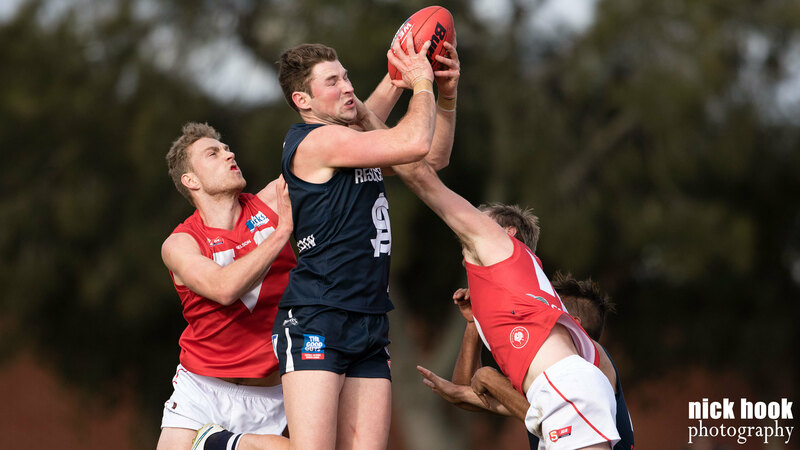 After some devastating news during the weeks that saw Jake Veide ruled out for the remainder of the season after undergoing a knee reconstruction, South thankfully came away from Prospect with a relatively clean bill of health. Jackson McMahon will undergo testing following a fractured cheekbone during the week. South now have a bye this weekend before they look to close out the minor rounds against Adelaide at Hickinbotham Oval in Round 21. It will be another big test for Brad Gotch's men, with the chance to secure a top-two finish and finish the season undefeated at Noarlunga! Keep an eye on the website for game previews, teams and other club news coming throughout the next fortnight. 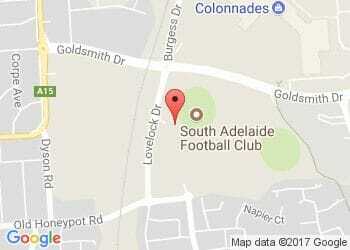 South Adelaide's Reserves succumbed to a 20-point loss against North Adelaide at Prospect Oval. The Panthers held a one-point lead at halftime, but were unable to hold off the rampant Roosters in the second half. Nathan Daniel was best on ground for the Panthers for the second consecutive week. The Panthers League veteran gathered 26 disposals, 10 marks and 10 rebound 50s in his second game back from concussion. Ever persistent midfielder Hayden Nichols (22 touches, 16 of them contested, eight tackles and five clearances) also battled hard all day. As did tough midfielder James Wray, who finished with 17 possessions and six tackles of his own. Meanwhile, youngster Cody Szust was firing up forward, contributing four majors for South. South's Reserves sit in 5th position on the ladder, a game and a half behind North Adelaide. In Round 21 the Panthers twos come up against West Adelaide at City Mazda Stadium in their final game of the minor rounds.